For more information about this program, click here for the introduction and day one. Here is day three, and here is day four. Very quickly I will remind you that in the 1-2-3-4 training program you will.. Perform one exercise, then rest and repeat until all your sets are completed. Perform a superset (two exercises in a row with minimal to no rest in between exercises) and repeat until all your sets are completed. Perform a tri-set (three exercises in a row with minimal to no rest in between exercises) and repeat until all your sets are completed. Perform a giant set (four exercises in a row with minimal to no rest in between exercises) and repeat until all your sets are completed. Exercise substitutions: Push press or push jerk with barbell or dumbbells, explosive landmine press etc. 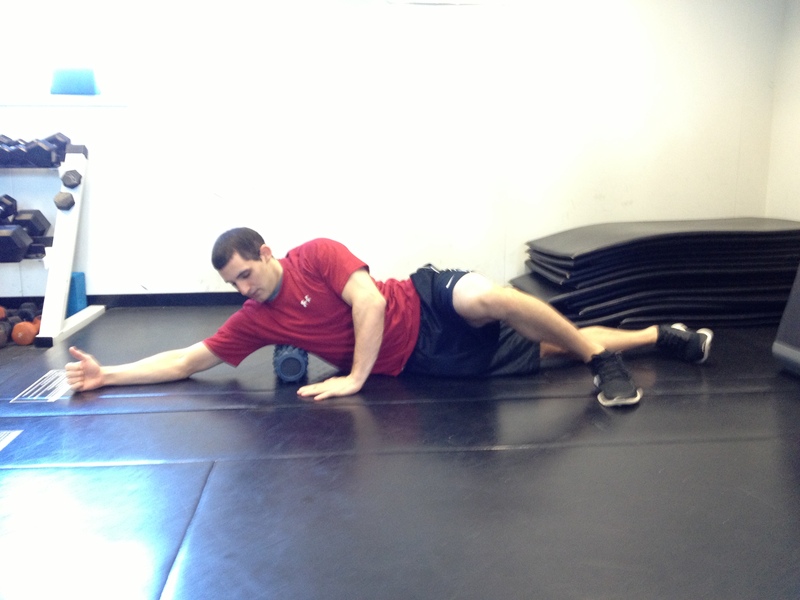 Perform the exercise above with 90 seconds rest between sets. 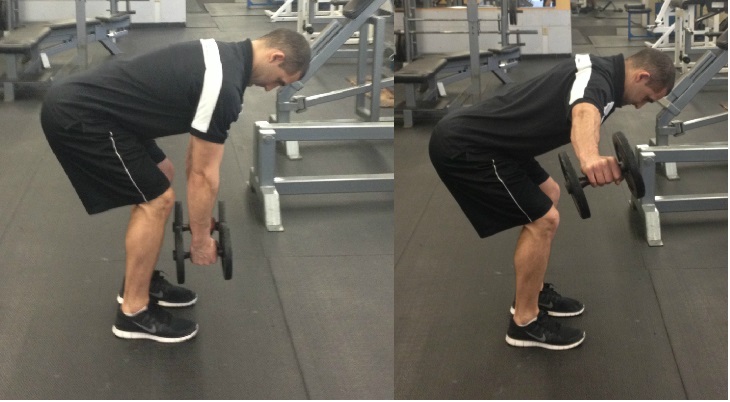 Repeat until your sets are completed, then move onto the “B” exercises. Perform the two “B” exercises above in succession. Rest 120 seconds and repeat until your sets are completed. Then move onto the “C” exercises. 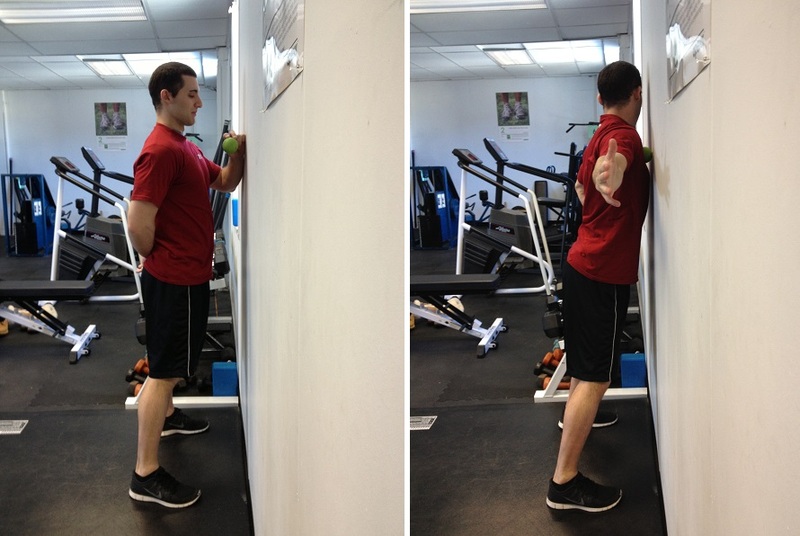 Exercise substitutions: Rear deltoid raise or reverse fly variations etc. Exercise substitutions: Cable or machine lateral raise variations etc. Exercise substitutions: Any movement where hands are on the ground. (Bear Crawls, plank variations, hand walk variations etc.) 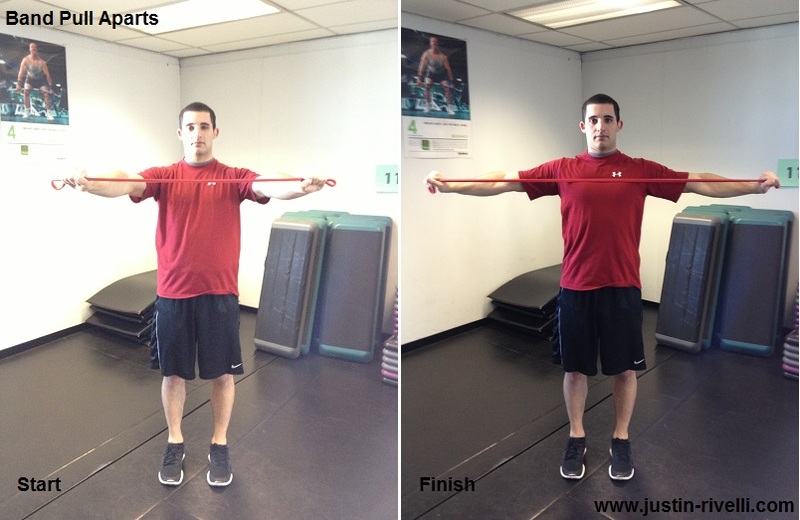 Don’t underestimate these because they are not your standard anterior shoulder exercise. Perform the three “C” exercises above in succession. Rest 90 seconds and repeat until your sets are completed. Then move onto the “D” exercises. Perform the recommended amount of reps f0r each exercise. Take minimal to no rest between each exercise. Rest 60 seconds after all 4 exercises are completed. 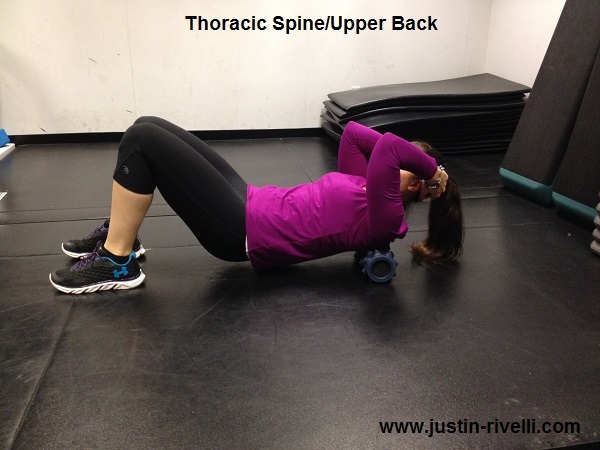 In general, roll each area for about thirty seconds to two minutes or more. Since I cannot assess you, stay on the areas that need the most work you will stay on the longest. If you have no idea what those are, do this. Also note: With each exercise don’t jump right into the weight you will be working with. Gradually increase the resistance with some “warm up sets” before performing and getting into the “working sets”. For example let’s use the seated dumbbell overhead press. Let’s also say you have 4 sets of 8 reps assigned. Start with light dumbbells, then grab heavier ones each set. Once you progress to a weight that is challenging for 6 reps, this would count as your first set. Then you would have three more at that weight according to the above protocol. Stay tuned for day three! If you missed day one, GO HERE!